Synopsis: "Most Unlikely to Succeed, by Nelson Lauver, blends humor, storytelling, irony, raw emotion as it offers inspiration and shares powerful life lessons about finding the strength to get back up after being knocked down, moving past fears and discovering your voice, learning to champion your own cause, believing gin yourself when no one else does, and overcoming insurmountable odds." What message about learning disabilities and literacy do you want communicate with this book? My goal is to take the reader inside the mind of a struggling learner, to help them better understand these kids. While experts in the field of education report from a clinical perspective, seldom do we hear directly from the struggling learner. I also wish to take the reader inside the mind of an adult facing the world without the basic literacy skills that are so necessary to achieve one’s highest and best. How did it feel, not being able to keep up with your classmates? Imagine this scenario: You are a kid invited to a pool party. There you are swimming with all your friends and classmates and having a great time. Suddenly, you realize you have concrete blocks attached to your feet. Now, not only are you struggling to stay afloat, you’re struggling to keep the rest of the kids from noticing. Worry and anxiety were a constant. I didn’t understand why I couldn’t learn like the other kids. I kept asking myself, do the other kids think I’m dumb? I was scared and felt completely alone. I didn’t think there was anyone else struggling like I was. In Kindergarten and first grade, I was a good student and absolutely loved school. I even decided, with the encouragement of my first grade teacher, that when I grew up, I was either going to become a lawyer or a broadcaster. In second grade, however, things changed. And, as I fell further and further behind my classmates, I became more of a loner. What perceptions would you like to change about dyslexia/learning disabilities? Having a learning disability has nothing to do with intelligence or lack thereof. I’d like to change the perception about kids who don’t do well in a traditional school setting. These are usually children with above average intelligence who have unique talents and can be highly creative. I’d like to see the stigma removed regarding learning disabilities and simply accept them for what they are – learning differences that can and should be accommodated. There’s an obvious message to educators and parents in this memoir, but is there a message for everyone? Yes, there is a broader message. It’s a message for anyone who has faced struggle. 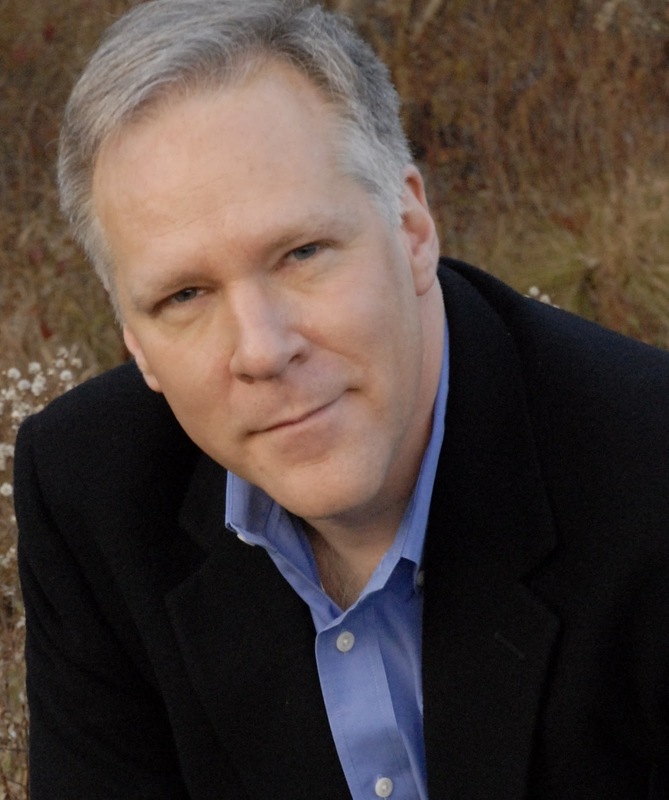 This book is a story about growth, of learning to believe in yourself despite detractors. It’s a message about finding your voice, championing your own cause, reaching deep down inside and finding the strength to get back up after being knocked down. It’s a message that success can come from even the most unlikely individual, and we should never count ourselves or anyone else out. It’s a message about looking for the positive in life and in people—and the good times along the way. I want the book to inspire people. What are some ideas or prejudices you’d like to see change about literacy? seeking help – they’re embarrassed and ashamed and just want to hide. I want my story to open a dialogue, put a face on the problem and show how it can happen to anyone. What was it like to be a functionally illiterate adult? Endlessly frustrating. When I graduated from high school, my reading and writing skills were at about a second grade level. There were so many things I couldn’t do: fill out a job application, fill out forms in a doctors office. I avoided going to the doctor for years because of my inability to fill out the necessary forms. Lack of literacy skills reduced the size and scope of my world. There was always the fear of being found out. I loved to go out to restaurants with friends, but because I couldn’t order off the menu, I’d stick to the basics, order an announced special, or just order the same thing as someone else at the table. I often used excuses like, “I forgot my glasses.” It was hard to keep my life organized and I did business and paid bills in cash. What made you finally reach out for help? It was chance encounter with an educator who recognized my difficulty and encouraged me to get help. I sought services through the PA office of Vocational Rehabilitation and a special program run by graduate students at Penn State University. A graduate student, on her own time, worked tirelessly for well over a year to help me learn to read and write. This tutor helped me to discover and develop compensatory strategies. Vocational rehabilitation helped me with psychological counseling to deal with my years of frustration and anger. I realized that the anger was every bit as great an impediment to learning to read and write as the dyslexia was. What are your thoughts on kids today with learning disabilities? Obviously there is a lot more information and assistance available today for kids with learning disabilities. Schools are better equipped to handle special learning needs. However, struggling learners today, just like any other time in history, need an advocate with a powerful voice. More often than not, LD children who succeed in the academic environment and go on to higher education and a prosperous life after college, have had very vocal advocates in their formative learning years – i.e. mothers. It’s a classic example of when you have the facts, you pound the facts. When you don’t have the facts, you pound the table. Table pounders, unaware of their rights and the rights their children, make little if any headway in advocating for their kids. On the other hand, parents who clearly understand their child’s educational rights realize how powerful they are and flex that muscle in the school system if necessary. These are the parents who get results and the desired academic outcome. One of the great problems is that not every child has a “mom” who is a great fact pounder (advocate) for a variety of reasons. In an ideal world, we would have an army of mothers (and not to take anything away from fathers – but mothers clearly excel in this arena) who could use their fact pounding acumen, and success as an advocate, to help other students as well. What are your thoughts on education today? Obviously there is great room for improvement. In the 50’s, 60’s, 70’s, and 80’s, unskilled labor could leave high school and find a job in manufacturing. But, overseas workers now perform those jobs for cents on the dollar. It doesn’t appear that these manufacturing jobs are coming back any time soon. Graduating from high school as an unskilled worker in the new technology driven economy will make it extremely difficult to find employment. It will be nearly impossible for unskilled labor (especially those lacking basic literacy skills) to find middle class employment. If we can’t figure out how to ensure a solid education for all, we will continue to see an upward trend in juvenile and young adult crime, dependency on welfare and other social programs, and self-medication/addiction issues. This will of course continue to place an overwhelming financial burden on society. Well-managed funding for education and high tech, specialized learning tools are essential. But of course, nothing is more key to the success of students than a dedicated, dynamic, and motivated teacher. We must encourage, support, and reward great teachers, while at the same time, help underachieving teachers to improve. Teachers who lack motivation or talent to motivate students and fail to improve need to be ushered out of the system. We find ourselves in an economic climate where teachers can no longer rest on their laurels. For the sake of our students, tenure should no longer be used as a shield to preserve the jobs of teachers who are not qualified to teach. My personal thoughts, given my husband is a teacher...AMEN. Review: This is such an amazing story. 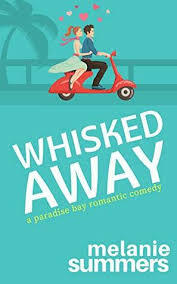 I could not put it down. In fact, I had three kids with strep throat that were up and achy at 5:30 am on Saturday morning. I got them all settled back down, meds dispensed and cracked open the book. I had it finished by 8:00 am. No joke. Keep in mind I am not a fast or strong reader. I just kept reading and reading and reading. I am still in shock over what Nelson Lauver encountered as a young child in school. While I think a lot of it had to do with "the times" and lack of our education system understanding learning disabilities, it was still shocking to read about his experiences. I did reflect back to some of my teachers (given I was an elementary student in the 70's too) and do I remember the paddle, teachers choking children, the fear of reading out loud in school (I still HATE reading aloud,even to my children....but let me present to a room full of people any day). I think this book is a MUST read for everyone. Run to your local bookstore to purchase this amazing book or jump on line and order it today. You will not be sorry. 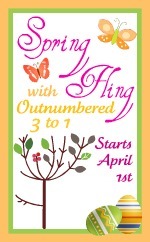 To celebrate Spring.....Outnumbered 3 to 1 blog is hosting Spring Fling! 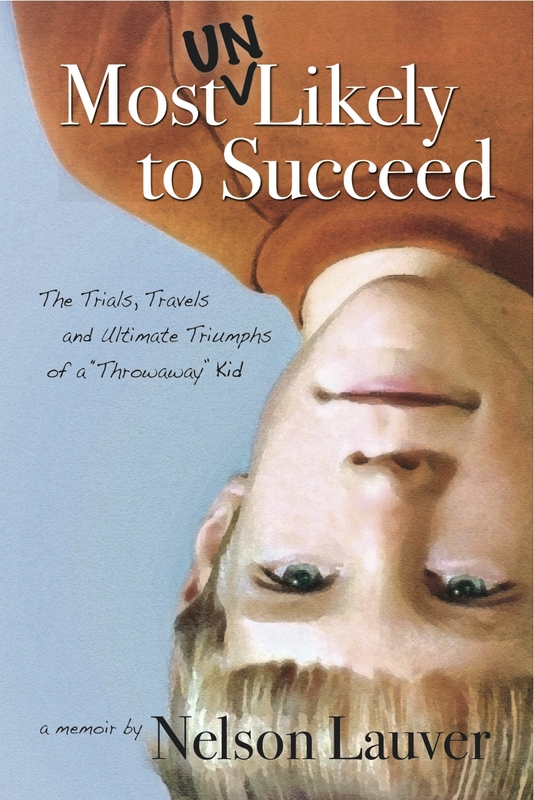 The Giveaway: We have two copies of the Most Unlikely to Succeed book to giveaway to two lucky participants. 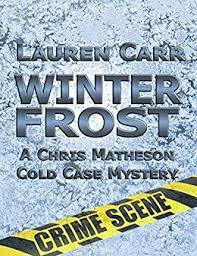 To enter the giveaway leave a comment on this post telling me why you would like to win this book. This step must be done before you can qualify for extra entries. Become a follower of Seaside Book Nook blog (once you become a follower/Google Friend Connect, or if you already are, leave a comment here on this post. Please leave a separate comment for each extra entry, otherwise it will just be counted as one. This giveaway is open to residents of the US until April 25th at 11:59 pm. I would like to win this book because as a retired Special Education teacher, I have a special place in my heart for children who learn differently. I believe that ALL children can learn with an understanding, caring, and properly trained teacher (or parent, caregiver, etc.) Thanks for the chance to win this book!